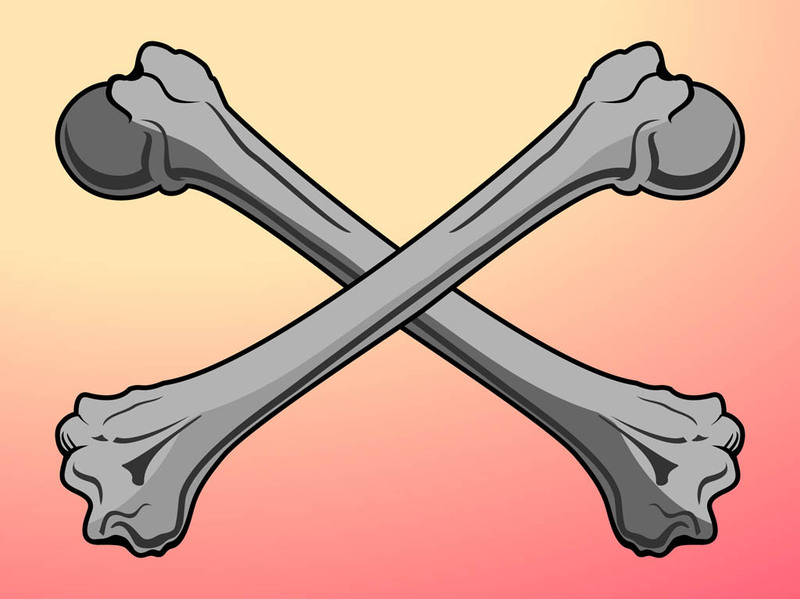 Cartoon vector graphics of two crossed bones. Elongated limb bones in pirate cross layout to decorate T-shirt prints, tattoos, posters, flyers and Halloween print materials. Free vector design to create skeletons, bones, pirates, horror, corpses, bone structure, medicine and anatomy graphics. Tags: Bones, Cartoon, Comic, Crossed Bones, Halloween, Horror, Jolly Roger, Pirates.